Astaggering six billion rupees is spent annually by Indian students studying abroad, which is almost twice the annual budget spent on education by the government. For decades Indian students preferred the US, UK and Australia for higher education . However, the tightening of rules and low economic opportunities in these traditional destinations have opened options, enticing Indian students to look at institutes in Canada, Europe, New Zealand and Singapore. Courses in professional disciplines such as engineering and IT are still the most sought-after , as they are seen to be the most employable. David Cameron has urged Indian students to come and study in the UK as he tried to address concerns about tougher visa rules ahead of visiting the country. 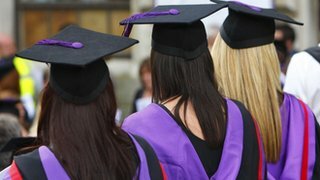 Ministers have come under fire for tightening the rules on post-study leave to remain in the UK which some businesses and universities believe is deterring people from applying. Mr Cameron accepted that policies may not have been "communicated properly". But he said there was "no limit" on the number of people able to come and stay. MUMBAI: Britain will offer same-day visas to businessmen and relax rules to permit greater technology transfer as Prime Minister David Cameron seeks to win new overseas businesses and overcome a slump that has pushed the world's sixth-biggest economy to the edge of a rare tripledip recession. In his second visit to India after taking office, Cameron also promised to make visas easier for students and offered to partner India to study the prospects of a massive infrastructure project that will build new cities and industrial areas from Mumbai to Bangalore. What's the Value of Foreign Degree in India? Bangalore: At present, pursuing the higher studies in abroad nations has become a sought of trend amongst the Indian students. It is all because they believe; a foreign degree will make your resume standout from the other entire candidates resume and will fetch you a job without any doubt.